You asked for it. You got it. A Single Level, Four Bedroom, Two Bathroom California Classics Home in a wonderful neighborhood with your own private park access! This beautiful, bright floor plan is just waiting for you to move in and start enjoying the Lifestyle so many want. Enter Into the spacious living room featuring a real fireplace, vaulted ceilings, skylights letting in loads of natural light and an Incredible, flowing floorplan leading to the huge family room with another real stone faced fireplace, vaulted ceiling with a rustic natural wood and a ceiling fan. The giant kitchen has tons of counter space, Whitewashed wood cabinets, newer appliances and lots of natural light. Guest bedrooms are spacious, private master suite has access directly to the lush, tropically landscaped backyard with fruit and avocado trees. The secluded, fenced backyard has a separately fenced dog run and your own gate leading to Hope View Park and fields directly behind your Home! There's even a tot lot playground within a few hundred yards. Two car attached garage with direct access, tile floors all around, large front and rear yards are just other reasons you need to run and not walk to see this Property. Enjoy Your Approximately 1,850 Square Feet Of Living Area Here!!!!!!!!!!!!!! Single Level Classic 3 Bedroom, 2 Bathroom Home in a fabulous neighborhood. Enjoy your formal living and dining rooms, a family room with a brick fireplace and vaulted ceiling, hardwood floors all around. Add in a large, bright kitchen to make this the best value in all of Huntington Beach. Enjoy our wonderful exterior weather in your beautifully landscaped front/private rear yards complete with formal brickwork and hardscaping. Centrally located to shopping, dining, entertainment, Historic Downtown Huntington Beach and the Pier. The ocean is less than two miles from here and provides lovely sea breezes and that delicious ocean air. Attached, direct access, two car garage provides quality. Walk to Terry Park. The Best Feature Is The Approximately 1,470 Square Feet Of Living Area Here!!!!!!!!!!!!!! Wow, a diamond at a semiprecious price! Bright, airy, spacious 2 Bedroom with a loft, 2.5 Bathroom Tri Level Townhome in an exclusive, gated, upscale community located in one of the best areas, Huntington Beach has to offer. Dark hardwood floors greet you upon entry into your executive hideaway. Crown moulding, vaulted ceilings, skylights and more enhance the elegant feeling of your new Home. Formal and informal dining areas, huge kitchen with expansive granite counters, inside laundry, giant master bedroom suite with roman style soaking tub and large closets, large guest bedroom and a loft area (could be third bedroom) along with a good sized, two car, direct access garage ensure that this gem will be your refuge from the everday stresses of life. Multiple balconies provide an extended exterior living space with both ocean and Bolsa Chica Wetlands views, ocean breezes and a relaxing atmosphere. Secure, gated community features 24 hour guard, swimming pools, spas, walking paths through immaculate greenbelt areas, numerous water features and a location within blocks to the world famous beaches and pier. Dining, shopping, transportation corridors and entertainment are all conveniently located near here. Don't delay and miss your chance for the best bargain in Seacliff on the Greens this year. You'll Like The Approximately 2,065 Square Feet Of Living Area Here As It Shows Meticulous!!!!!!!!!!!!!! Wonderful The Estates of Huntington Village Two Level 4 Bedroom, 3 Bathroom Home in a Fantastic Neighborhood, Centrally located to Shopping, Dining and Entertainment. Near Huntington City Beach, the Pier and Historic Downtown with its shops and restaurants. You enter into this completely remodeled home thru the living room featuring vaulted ceilings, Hardwood floors, new paint and carpet. The super bright Gourmet Kitchen has Granite Counters and lots of space. The adjacent family room leads to a private back yard with lush landscaping. This model also offers a Full Bath and Bedroom Downstairs. The good sized master bedroom and two additional guest bedrooms are upstairs along with the third remodeled bath. This private community has a pool, clubhouse and tennis courts along with a meandering walk through the greenbelt areas. Enjoy Your Approximately 2,077 Square Feet Of Living Area Here!!!!!!!!!!!!!! Welcome to the best kept secret neighborhood in Huntington Beach. This Immaculate California Classic Two Level Home is on the market for the first time in more than 26 years & has been lovingly cared for! Home includes four bedrooms (one downstairs), three bathrooms, recently painted interior & exterior with fresh neutral colors, newer carpet, dual pane windows & plantation curtains. Remodeled kitchen features crisp white cabinets, recessed lighting, pull shelves and Corian counters. Living room & dining room area are light & bright & the family room has a cozy stone fireplace, perfect spot to relax on a cool night. Enclosed, permitted patio would make a terrific game room. Enjoy the exterior & fresh ocean air in your large grassy yards - front and back. One reason the owners originally chose this home – the great location, and that hasn't changed. Home is centrally located & within walking distance of shopping, dining, transportation & parks. Historic Downtown Main Street & of course the beautiful ocean are just a few miles from here. This Surf City Lifestyle Property Has Approximately 1,820 Square Feet Of Nice Living Area!!!!!!!!!!!!!! This is the Two Bedroom, Two Bathroom Condo you have been seeking, Pristine carriage unit in exclusive, gated Pacific Ranch. Enter into your completely remodeled private oasis featuring vaulted ceilings, dual pane windows, custom baseboards, moulding and custom touches throughout. Kitchen features granite counters, gourmet stainless appliances, tile floor and designer lighting. The bathroom boasts limestone floors and surrounds with slab counter top, custom cabinets, jetted tub, new toilet, sinks, fixtures and designer lighting. Hardwood floors, new Trane furnace and A/C unit with programmable thermostat, new carpet, designer paint, extra storage and stackable washer/dryer are all included to complete this home so all you have to do is move in and relax on your private balcony and enjoy the beautiful ocean breezes. Perfection At Its Best Shows Here!!!!!!!!!!!!!! WOW! What a Bargain! Huge yard front and rear with R/V access. Conclusion of a Cul-De-Sac Location in This Three Bedroom, Two Bathroom Dutch Haven America Home. Enjoy the. Remodeled kitchen and bathrooms as well as Hardwood floors throughout. Walk to schools, shopping, dining and entertainment! The Seller Shows Motivation Galore!!!!!!!!!!! This is your chance to get one of the best 4 Bedroom, 6 Bathroom Two Level homes on one of the quietest streets downtown. Custom Tuscan giant just blocks to the beach is set up for entertaining. Formal living room with fireplace, formal dining room looking out to private flagstone courtyard with fountain. Huge gourmet kitchen with custom cabinets, granite counters, Viking appliances, butler pantry includes dishdrawer. Beautiful library, 1000 bottle wine room, game room with fireplace and one full and one half bath complete the ground level. Upstairs features large master suite with sitting area,fireplace and two balconies. Master bath has jetted tub, spa shower, double closets. Three additional bedrooms with ensuite baths and large walkin closets. Family room opens to balcony looking at Lake Park with it's own fireplace. Custom touches throughout include travertine floors, crown mouldings, exposed beam and coffered ceilings. It Truly Is A Gorgeous Well Maintained Residence!!!!! Incredibly remodeled Huntington Classics Two Level Four Bedroom, Five Bathroom Executive Home just blocks to the ocean & downtown. Step into your private courtyard entry & open the beautiful etched glass front doors to enter this sparkling jewel of a home. Travertine floors, marble fireplaces, custom cabinetry, fixtures & finishes are truly top of the line. Custom dual pane windows, coffered & scraped ceilings, completely remodeled bathrooms & a great floor plan all work together to provide a beautiful living environment that is second to none. Gourmet kitchen with commercial quality Wolf range, designer natural wood cabinets, granite counters & large attached dining area is intimate enough to prepare private dinners for two & large enough to handle just about any entertainment needs. Luxurious master suite features fireplace, balcony & huge walk-in closet with custom flooring & chandelier. Master bath includes steam shower, soaking tub, stained glass windows & granite & marble hard surfaces. Move in & enjoy the 'Surf City' lifestyle! Best Of All You Get Approximately 3,250 Square Feet Of Gracious Living Space!!!!!!!!!!!!!! REALTY ONE GROUP CURRENTLY NOT ON THE MARKET!!!!!!!!!!!! Gorgeous Turnberry home with approximately 3,877 square feet on the Seacliff Golf Course with a double fairway view. Flexible floor plan allows up to 6 bedrooms. Your new home sits at the finish of a private cul-de-sac in the exclusive gated community of 'The Peninsula' and offers all the amenities expected of this executive estate. Hardwood floors, gourmet kitchen, formal living and dining rooms, large family room with fireplace, additional upstairs family room, office nook, huge bedrooms, and lavish master suite with balcony overlooking the golf course. Large yard features mature landscaping, fruit trees and custom spa. Seize this opportunity to live in one of the best neighborhoods of Huntington Beach and enjoy great schools, nearby shopping and dining, golf, and equestrian facilities all within hearing distance to the waves crashing on our world famous beaches . This Is Your Future Lifestyle!!!!! Beautiful single story home with four bedrooms & two bathrooms. Gorgeous warm wood floors in the formal living room & the family room. Lovely kitchen includes granite & stainless appliances. Bedrooms are tastefully done with neutral carpet & walls. Enjoy the great open floor plan or take your entertainment outdoors with your large patio, fire-pit & sparkling spa. There is even room for a pool! Live close to all of the great amenities that Huntington Beach has to offer: award winning schools, parks, entertainment, shopping, dining, Historic Downtown Huntington & of course our wonderful beaches. Move right in & begin enjoying the 'Surf City Lifestyle'. REALTY ONE GROUP CURRENTLY NOT ON THE MARKET!!!!!!! Welcome to one of the best kept secret neighborhoods in HB, the California Classics.Within walking distance to shopping, dining, entertainment and the Beach lies this gem of a home. On a quiet street amid homes with manicured lawns and happy children you will find this fully remodeled 4 bedroom retreat. Brickwork, lush tropical landscaping and custom hard-scape welcome you into your new home. Through the custom front door, into a spacious living/dining room with travertine floors, volume ceiling, designer colors and rich mouldings. Gourmet kitchen is centrally located in this open floor plan and features cherry cabinets, granite counters, GE Monogram built in appliances and custom touches throughout. Cherry A/V units frame the brick fireplace while built-in surround sound echoes in the family room. There is also one bedroom and bath down for convenience. The private tropical back yard invites with spa, fire-pit & outdoor kitchen. Huge closets in the bedrooms and luxurious master suite round out the amenities. This Property Is Well Cared For!!!! 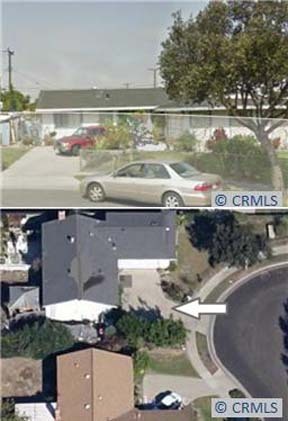 New carpet and paint highlight this great original condition single story sol vista home. Walk to shops, dining, and parks from this fantastic family neighborhood. Quiet tree lined streets and obvious pride of ownership are apparent as soon as you enter the neighborhood. Great schools are nearby. Large kitchen, formal dining room, three bedrooms, 2 bathrooms, fireplace in living room and large pool sized yard create the perfect home. Come See What The Best Of Huntington Beach Has To Offer At This Price!!!!! This is a beautiful Three Level Home just steps to the sand and historic downtown. Completely remodeled kitchen with granite counters, new appliances and custom cabinets. Designer flooring, scraped ceilings, and remodeled bathrooms complete the full makeover on this home. Three bedrooms with a large upstairs family room and 4 full bathrooms ensure plenty of space for family, vacations or just relaxing. Views of the ocean and pier complement this home. Walk to the beach, pier, shops, restaurants, entertainment and great schools. Courtyard entry, private backyard, balcony and decks allow an outdoor lifestyle to mesh with any family large or small. Come enjoy all that this area has to offer from the security of your own custom beach home. The Price Is Very Reasonable For This Prime Property!!!!! Wow! What a gem! Totally remodeled 4 bedroom, 3 bathroom just steps to the sand and historic downtown. Custom concrete courtyard entry opens to polished travertine floors, and open and spacious floor plan. Granite counters, maple cabinets and GE Profile appliances assure easy entertaining in the new kitchen that opens to formal dining. Large living room with custom cabinets, fireplace and beautiful glass doors open to private flagstone patio with tropical landscaping and Koi pond with waterfall. Ground floor master bedroom features huge walk-in closet and remodeled bath with spa tub and basin sink. Guest bath is also remodeled with decorator touches and custom finishes. Upstairs has three large bedrooms, two with private balconies, guest bath (also remodeled) and large laundry room. Perfect location within walking distance to beach, pier, restaurants, shopping and entertainment. Top rated schools are also within easy walking distance. It's The Lowest Priced Single Family Home On The Numbered Streets In Downtown Huntington Beach!!!!!!!!!!!!!!! It Is Truly A Fantastic Bargain For A Single Story Home In The Downtown Area Of Huntington Beach. Enter This Property Through A Private Courtyard. There Are 3 Bedrooms, 2 Bathrooms And Approximately 1,688 Square Feet Of Living Space In This Charming Residence. Amenities Include: A Fireplace In The Living Room, A Wet Bar In The Spacious Family Room, Two Additional Bedrooms And A Separate Master Suite With A Walk-In Closet. This Nice Home Also Has Its Own Laundry Room And An Attached Two Car Garage. Note: Your Lot Size Is Approximately 5,082 Square Feet. All Of This And You Can Walk To The Beach, Pier, Lake Park And The Historic Downtown With Its Shopping, Dining And Entertainment. Come Enjoy This Beach Beauty!!!!! In The Oceanaire Neighborhood Of South Huntington Beach Is This Fantastic Property For The Large Or Extended Family Or Anyone Who Desires A Lot Of Space. It's 2 Stories And Has 5 Bedrooms With A Den That Could Easily Be A 6th Bedroom, 3 Bathrooms And Approximately 2,210 Square Feet Of Living Space. The Lot Size Is Approximately 6,174 Square Feet. Amenities Include: A Huge Family Kitchen, New Windows, Cabinets, Fixtures, Lighting, Floor Coverings And Scraped Ceilings. Best Of All It Sits On An Awesome Inside Tract Corner Lot With A Covered Patio For Exterior Entertainment. You Even Get A 2 Car Garage. Located Near Shopping, Dining, A Bike Ride To The Beach And Highly Desired Schools. It Would Make A Good Board And Care Residence!!!! !